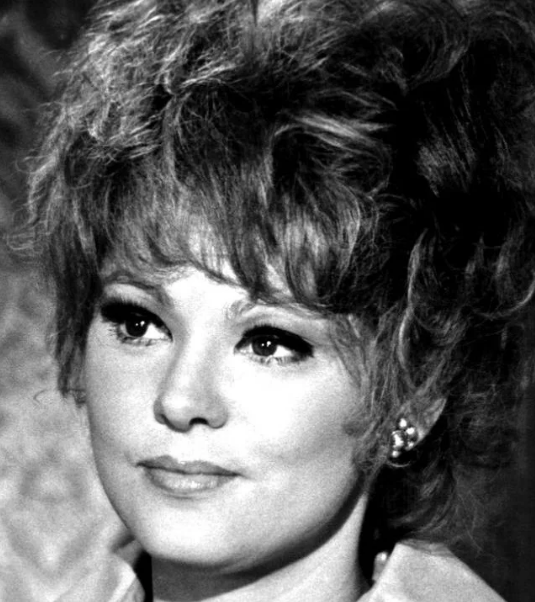 Roles in films like "A Thousand Clown", and "Peggy Sue Got Married"
An American Charming Actress, Barbara Densmoor Harris is simply well recognized as Barbara Harris. In her career of her actress, she had played many movies. Some of her movies are A Thousand Clowns, Plaza Suite, Nashville, Family Plot, Freaky Friday, Peggy Sue Got Married, and many more. She was also nominated for an Academy Award and four Golden Globe Award. She also won a Tony Award. Before her fame, She was a member of the Compass Players, the first improvisational theatre troupe in the United States. On 21st August 2018, she died due to Lung cancer in Scottsdale, Arizona. She was 83 aged. She is best known for her roles in films like "A Thousand Clown", and "Peggy Sue Got Married". She is famous as Broadway Stage Star. On 25th July 1935, Barbara Harris was born. She was born in Evanston, Illinois the city of U.S. Her full name is Barbara Densmoor Harris. Her nationality is American. Her horoscope is Leo. Her father name is Oscar Harris and mother name is Natalie Densmoor. Her height is 1.7 m tall. Her weight and other body details have not been revealed yet and will be updated soon. In the year 1962, Barbara earned Tony Award for her outstanding featured Actress in a Musical for her Broadway debut in "From the Second City" from September 1961 to December 1961. Later she interviewed with Phoenix New Tomes in the year 2002. She also won the "Theatre World Award" for her role in playwright Arthur Kopit's dark comedic farce, Oh Dad, Poor Dad, Mamma's Hung You in the Closet and I'm Feelin' So Sad. In 1966, she earned a nomination for Best Actress in Musical for On a Clear Day You Can See Forever (1965). She performed numbers from the show with John Cullum on The Bell Telephone Hour on 1966. She also gave her brilliant performance in "The Apple Tree". It was based on three tales by Mark Twain, Frank R. Stockton, and Jules Feiffer. It was a huge hit and ran for 463 performances, winning several awards and nominations. She stopped appearing on stage after "The Apple Tree" except for the off-Broadway first American production "Mahagonny" in 1970. Later, she continued to appear in films of the 1970s-80s, including Freaky Friday. In the year 1971, she appeared in the comedy-drama ‘Who Is Harry Kellerman and Why Is He Saying Those Terrible Things About Me?’ playing an aging actress. After that, Harris retired from acting and began teaching. In the year 1967, she won the Tony for Best Actress in a Musical for her role in the play "The Apple Tree". She also won the Cue Magazine's "Entertainer of the Year" award for this role. The exact net worth of Harris is $14 Million. Her exact salary is still to figure out yet and will be updated soon. She was married to Paul Sills in the year 1955 whom she later divorced in the year 1958. They only spent some blissful moment together. Before her fame, She was a member of the Compass Players. She left this world because of lung cancer. She won the Tony for Best Actress in a Musical for her role in the play ‘The Apple Tree’. The exact net worth of Harris is $14 Million. She appeared in the comedy-drama ‘Who Is Harry Kellerman and Why Is He Saying Those Terrible Things About Me?’ playing an aging actress.